Hemr Defense relieves the burning, itching, pain and discomfort caused by hemorrhoids. It can reduce the swelling and protect irritated tissue too. Hemr Defense temporarily shrinks the hemorrhoidal tissue and relieves burning, providing temporary relief from any rectal discomfort you may be experiencing. Hemr Defense uses astringent herbs to help soothe and tone irritated tissue. You can also apply it topically, using the contents of a capsules and mixing it with cocoa butter lotion. Amla Berry- Amla Berry is used in Hemr Defense for producing healthier tissue. Cranesbill Herb- This herb is used to treat and renew tissue damaged by hemorrhoids. Slippery Elm- Slippery Elm is used to soothe the damaged tissue. Horse Chestnut- Horse Chestnut is used for vascular support. 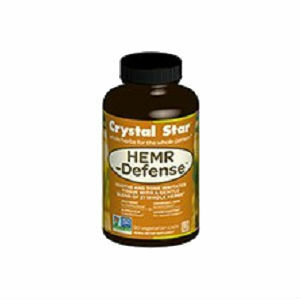 The recommended dosage for Hemr Defense is 2 capsules taken by mouth 3 times a day. The price of one bottle of Hemr Defense is $32.95. They do not say how many capsules this gives you in a bottle. Hemr Defense comes with no know guarantee. Hemr Defense is not a bad product, however its ingredients have so far failed to provided any proven benefit. When compared to the leading products. John Parker	reviewed Hemr Defense	on October 22nd	 and gave it a rating of 2.